GRS that was toying with the idea of adding a new high end press and had already spent some time searching for the right press to help it gain an additional market hold in the flexographic printing sector. According to Mr. Karunakaran, a key criterion in comparing possible alternatives was that the total investment in a new press complete with cutting-edge technology should also be in tune with the other flexographic press that it has in their plant. The company had to consider its decision very carefully as this investment would add a new process to its overall portfolio of printing methods. For GRS, the new P7 came onto the market at just the right time. Discover an inherent potential for new business development through a category that has evolved way beyond mugs and t-shirts at Screen Print India 2012 / ASGA India 2012 show, during the theme showcase ‘Sublimation Beyond Imagination’. In this competitive scenario, printers need to offer a wider range of services to retain and increase clients. This requires a basic understanding of what businesses need and how this can be provided. Today, most corporate’s and professionals are on a constant lookout for new branding ideas. To stand out among the crowd, they have to ensure that the branding is done on items that are customised or personalised. The best way to achieve this objective is through sublimation! From the business name or logo to specific messages in a variety of designs and colours, printed on a seemingly infinite number of gift items, the scope is vast. Screen Print India 2012 / ASGA India 2012 show will display all that is possible with sublimation through a dedicated theme showcase titled ‘Sublimation Beyond Imagination,’ which will cover 25-30 square metres of floor space. This has been initiated and will be designed by Varsha Transprint and Nyassa, leading names in developing transfers for garment industry. 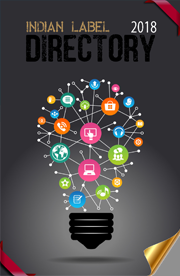 It will open up new avenues for brand managers and product and service providers who visit. Jignesh Ruparelia has confirmed the capability of sublimation on polymers, wood, metals, glass, MDFs, ceramics, leather, cotton, satin, jute, canvas, velvet, suede, rubber, EVA, polyester, satin, stones, etc. Yes, it is possible on anything that one can dream of. Currently sublimation is being used on a large scale for the garments industry and this is one opportunity that can give them first-hand true insight on the possibilities of sublimation and explore on opening new opportunities for business growth and expansion. This dedicated theme pavilion at the Screen Print India 2012 / ASGA India 2012 show will facilitate that in more ways than you could ever imagine. Don’t miss being there and getting a firsthand guidance of what it takes to make it great in the sublimation business. Strong growth in sectors like fast moving consumer goods, pharmaceuticals, liquor, and cosmetics has had a positive rub off on the packaging industry. Growth in consumer goods and organised retail mainly drives demand for packaging. For an investor, the packaging sector offers promising growth and high returns. With consumerism gaining strength, the industry is growing at a rate of 14-15% annually. PackPlus South aims to provide a global platform to the leaders of this most promising industry, who will present some of the latest innovations and developments from the industry. With big names already signed up, the exhibition, scheduled from 6-9 July 2012 will feature around 300 exhibitors on the 10,500 sqm sprawling area of HITEX Exhibition Centre, Hyderabad. Hilda Automation, a customary exhibitor at PackPlus, did a remarkable business at the 2011 edition of India Packaging Show. The company will be displaying a wide range of packaging machinery at its prominent stall under the Packaging Zone at PackPlus South. Other leading companies exhibiting under the zone will include Domino Printech India (P) Ltd., KP Tech, Saurabh Flexipack Systems (P) Ltd., Superpack Packaging Machines (P) Ltd., Reynders Label Printing India (P) Ltd., Cyklop Packaging Systems India (P) Ltd., Bhavmark Systems (P) Ltd., AKR Plastic Industry, Hassia Packaging (P) Ltd., Ecobliss India (P) Ltd., AVP Papers, Maharshi Udyog, Markem-Imaje India (P) Ltd., Electronics Devices, Inpack Fabrications (P) Ltd., Jay Instruments & Systems Pvt. Ltd., S.V. 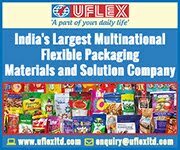 Modular Conveyors (P) Ltd., Uflex Ltd. and Interlabels Industries (P) Ltd.
Next Impex, one of the leading manufacturers and exporters of non-woven fabric bags making machine lines in India, is exhibiting under the Converting Zone at PackPlus South 2012 for the first time. Realising the wide reach of the Show, the company has one of the largest stalls to showcase its products and solutions. Kody Equipments has always been busy at PackPlus, with several on-spot sale of machines and prospects that keep maturing overtime. The company will present a slitter & rewinder machines in this zone at the exhibition. Others exhibiting in this zone will also include the renowned companies like Natraj Corrugating Machinery Company, Enigma Ventures (P) Ltd., K K Packaging Solutions, Saill Colours & Chemicals, Nagpal Exim, PSR Industries (P) Ltd., Next Impex, N-Tex Engineering Works (India), Suddha Converting Machineries (P) Ltd., Expert Industries (P) Ltd., Axess Ultrasonics (P) Ltd., SP Ultraflex Systems (P) Ltd., BST Sayona Automation (P) Ltd., Intergraphic Sales & Services (P) Ltd., K K Graphics and Shraddha Converting Machines (P) Ltd.
A dynamic economic scenario worldwide has sparked a new found interest in automation to make business processes more effective and efficient. The food and pharma industries are adopting automation to grow in the competitive world. The Processing Zone at PackPlus South will feature companies like Omron Automation Pvt. Ltd., Osna Electronics (P) Ltd., Sandilyam Automation Systems (P) Ltd., Elesa and Ganter India (P) Ltd., Baumuller India (P) Ltd. and Delta India Electronics. The Supply Chain Zone will feature some of the leading companies from the bulk packaging segment like Lohia Starlinger Ltd., Time Technoplast Ltd., Indus Control & Automation (P) Ltd., Gujarat Machinery (P) Ltd., J P Extrusiontech Ltd. and Habasit Iakoka (P) Ltd. The companies exhibiting in the AIDC segment will include Aseptic Technology Inc., Tvasta ID India (P) Ltd. and 3d CAD (I) (P) Ltd.
“With the third edition of the PackPlus being organized in Hyderabad, the foothold has only gone strong. We have crossed the last year records with 250 exhibitors signed up already for the show, and we still have two more months to go. 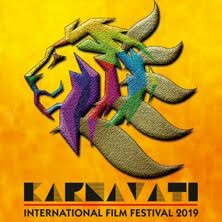 The Show will surpass all previous records to make new landmarks,” said Neetu Arora, Director, Print-Packaging.Com (P) Ltd, the organizers of the Show. Converting Expo 2012 and Labeltech 2012 that is co-located with PrintExpo 2012 will be happening from 22-24 June 2012 in Chennai, India. To add immense value for both, exhibitors and trade visitors, PrintExpo 2012, now in its' 4th Edition, is the regions' largest and most successful printing exhibition. With more than 300+ Exhibitors from India and overeseas and more than 12,000 business visitors attending the PrintExpo 2012 co-located with ConvertingExpo 2012 and Labeltech-2012, it will be a direct selling opportunity to serious buyers in active buying mode as well as targeting, testing and developing new markets and identifying and recruiting new distributors and partners. To be held under the aegis of Intel Trade Fairs & Expositions - One of India's leading organizers of Business-to-Business exhibitions, conferences and events, ITFE organises exhibitions and conferences in India and abroad serving various industries such as, packaging, printing, label, food, pharmaceuticals, plastics, fire & safety etc. PrintExpo 2012 co-located with Labeltech-2012 and ConvertingExpo 2012 is being organised on a floor space of over 11,000 sq. mtrs., and will be the Regions' largest ever printing and converting show. It was smiles all round at Steinemann Technology at the end of this year's drupa. Living up to the exhibition motto 'Attract new customers', the company sold several laminating and UV varnishing systems to new customers from all over the world. In addition, hands were shaken with a number of long-standing customers, and the foundations laid for further projects as follow-up business after the exhibition. 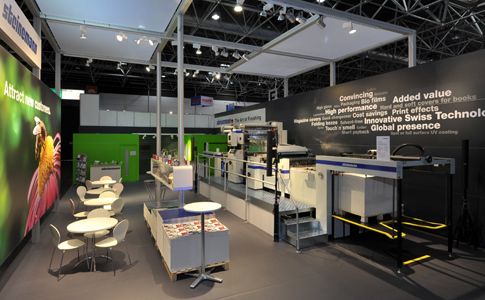 Most of the systems sold by Steinemann Technology during drupa 2012 went to Asia, as well as Central and South America – the main focus being on packaging printers. Among other destinations, several systems will be going to India and Indonesia. The Lotus SF laminating system presented live on the company's exhibition stand in Hall 3 was specifically adapted for processing innovative film types made of renewable raw materials and ultra-thin PET films, and will be shipped to a packaging printer in Mexico. Steinemann Technology concentrated entirely on the subject of packaging in Düsseldorf – in turn focusing on two particularly 'trendy' topics: resource-conserving laminating using ultra-thin films and biofilms, together with cost-efficiency in long-run print finishing. In addition to live production on the Lotus SF using biofilms and ultra-thin PET films, the company presented a wide range of folding boxes, laminated with different types of film. This allowed visitors to directly compare the different haptic properties and effects of the various films. "Steinemann Technology positioned itself ideally with its drupa presentation," said Jürg Spittler, Sales Graphic, summing up his positive impression at the end of the exhibition. "Laminating with ultra-thin films and biofilms is a key topic for the future, particularly in the eyes of many packaging printers. They have recognised the diverse opportunities it offers for acquiring new customer groups and thus boosting sales. The same goes for manufacturers of branded goods, since the innovative films and the resultant, attractive packagings enable them to increase their market shares." Its sales at this year's drupa further expand the position of Steinemann Technology, especially in the (premium) packaging market. For instance, a Lotus SF will in future be used at one of India's leading packaging printers to finish print products for the cosmetics market and other sectors. Steinemann Technology sold a further Lotus SF laminating system to one of Colombia's leading packaging manufacturers, who has already been working with machines from the Swiss company for over 20 years. Last but not least, an Indian commercial printer likewise decided in favour of the Lotus SF. This print provider intends to also focus on packaging production in the future. At the same time, Steinemann Technology will also be supplying a Colibri 74 UV varnishing system to a French packaging printer, who works exclusively with digital printing systems. Another highlight: having already installed more than 40 varnishing systems in the Indonesian market, Steinemann Technology was delighted when a commercial printer from the South-East Asian country decided to purchase a Lotus SF laminating system during drupa 2012. It will be the first polyurethane laminating system to be shipped to Indonesia by Steinemann Technology. The long-standing customer already works with two Colibri UV varnishing systems at the moment. Finally, a Colibri is to be installed in Germany at one of Europe's largest photo service providers as part of the company's current massive efforts to expand its commitment in the online printing market. The key decision-making criterion in this instance: the Colibri is the ideal tool for professional applications where perfect varnishing quality is demanded. So, all in all, Steinemann Technology covers a very wide range of different customer requirements with the laminating and UV varnishing systems sold at drupa 2012. The visitors from European countries, in particular, proved to be greatly interested in resource-conserving finishing, while the attention of the visitors from emerging markets focused on the cost-efficiency and high productivity of the systems. 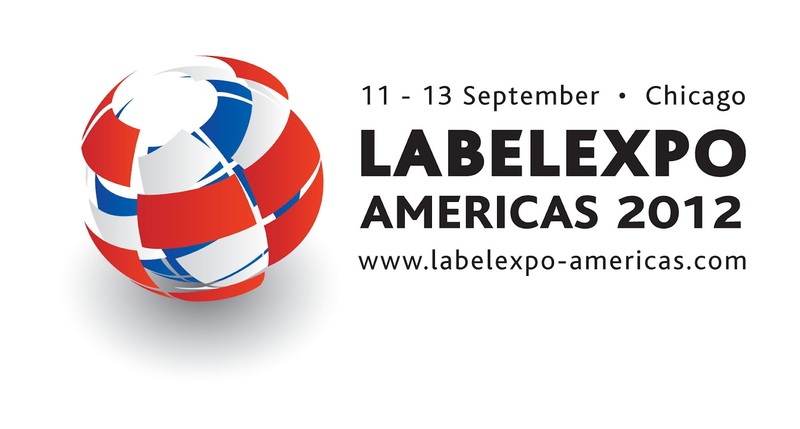 Registration to attend Labelexpo Americas, the largest label, product decoration, web printing and converting tradeshow is now open. Returning to the Donald E. Stephens Convention Center, Rosemont, Chicago, Labelexpo Americas 2012 is already five percent bigger than its last edition in 2010. Being held between 11-13 September, it is again supported by TLMI. 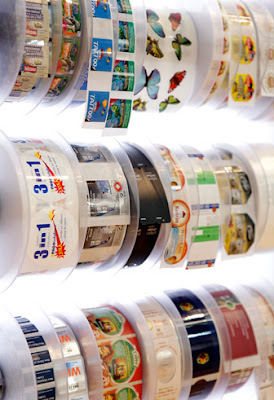 The place where label converters and printers from across North and South America come to source suppliers, see and purchase new technology, Labelexpo Americas is the industry’s must-attend event. In addition to all of the innovation and insight that Labelexpo Americas exhibitors bring to the show floor each year, attendees can look forward to meeting over 400 suppliers and manufacturers including 67 brand new exhibiting companies, as well as see a range of new and returning features. As well as an ever-comprehensive conference program, Labelexpo Americas 2012 will also feature a digital printing master class. Aimed at converters looking to invest in digital printing for the first time, the three and half hour session is chaired by Mike Fairley and will highlight the main printing technologies, label substrate requirements, workflow and color management and sales and marketing in a digital environment. The popular technology workshops return with a live demonstration and comparison of four machines in the Laser Die Cutting Workshop in Hall F. Sei Spa, Spartanics, AB Graphic International and Delta Industrial are taking part in four workshops, run by a neutral moderator with their machines each testing a different cutter profile: blank office product labels, prime product labels and industrial labels. Package printing is one of the fastest growing areas in the industry and dozens of exhibitors will be showcasing new technologies as part of the new Package Printing Zone in Hall C. The conference program will also feature a dedicated stream for getting started with cartons and flexible packaging. 2012’s edition will also introduce Ecovillage which will showcase the latest products and services designed to support a better performing, more environmentally conscious label industry. Labelexpo Americas will also play host to the prestigious Label Industry Global Awards on the first night of the exhibition. The awards program honors and rewards companies and individuals for excellence and best practice in the labeling industry. For social and networking activities, the Park at Rosemont opened in spring 2012. A new entertainment development, it boasts dynamic bars and restaurants with live music, casual dining, bowling and outdoor patios. The perfect destination for after-show fun, the Park at Rosemont is only a block from the Donald E. Stephens Convention Center and is anchored by Muvico 18- Movie Theater, a number of hotels and the vibrant Rosemont Theatre. Expo-only passes cost from $55 and conference session tickets from $135. Further discounts apply for TLMI/FTA/AIMCAL members. 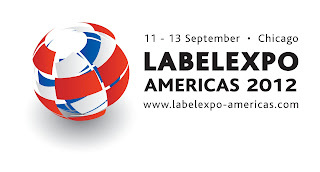 Registrations can be made online by visiting www.labelexpo-americas.com. BST Sayona are specialists when it comes to system solutions and automation technology for the web processing industry. The product portfolio of the company ranges from single components and standard applications such as web guiding systems to 100% defect detection and print process management systems for printing and packaging industry. At the PackPlus 2012, BST Sayona will use the exhibition venue to showcase its web guiding and web inspection systems that are geared towards optimizing performance, results and yielding a faster ROI. “The products to be featured at the Show will include CLS Pro 600 line guiding system, Cutter guiding system along with edge colour sensor, Powerscope 4000 – video web inspection, EYETOUCH – automatic register control system” said Tappan Patel, Managing Director, BST Sayona. “There will be a formal demonstration of key products everyday in our booth no. 42, Hall no. 3, which will help customers have technical discussions with our sales and marketing staff, who would guide them on queries regarding our products and applications,” he added. ITW Foils, a global manufacturer and distributor of technically superior foils, films and laminates, announced today that it was honored by the Foil & Specialty Effects Association (FSEA) by winning two prestigious awards for its Designed to Shine educational guide. FSEA distinguished Designed to Shine with the Gold Leaf Award in its Capabilities Brochure category, and further prized ITW Foils with an Honorable Mention in the overall Best of Show category. For more information, go to www.itwfoils.com. 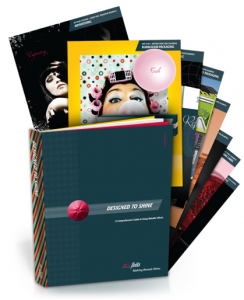 In late 2011, ITW published its new design guide to both educate and inspire graphic designers, brand managers, commercial printers and converters working in the package design industry. Offering detailed descriptions and actual creative samples of hot stamping, cold foil transfer, foil laminates, transfer metallization, UV film casting and embossing, the comprehensive guide demonstrates what can be achieved by incorporating these effects into print and package design. Not only does it provide designer tips and tricks for using each of the effects, but it also offers statistical data that substantiates the importance of increasing product visibility, enhancing perception of product quality and improving brand differentiation, and how sales are impacted. The guide is available through www.itwfoils.com. “We are deeply honored by FSEA’s recognition of ITW’s hard work and dedication to the industry,” says Gary Jones, National Sales Manager at ITW Foils. The FSEA-IADD Joint Conference is the industry’s premier showcase for foil stamping, embossing and other specialty effects. The competition, which is sponsored by FSEA and its members, recognizes creativity and superior execution of designs that reflect positively on the industry as a whole. Entries are judged on several criteria, including design, execution and level of difficulty. Competing against hundreds of entries from around the country means winning an award is a mark of excellence in the packaging field and recognition of superior achievement. 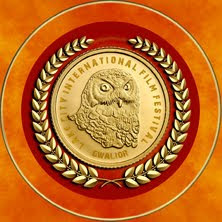 The 2011 Gold Leaf Awards were recently announced at the Gold Leaf Awards Banquet during the FSEA-IADD Joint Conference in Las Vegas. There were Gold, Silver and Bronze awards given in 28 separate categories for outstanding use of foil stamping, embossing and other specialty effects. The guide offers detailed descriptions and actual creative samples of hot stamping, cold foil transfer, foil laminates, transfer metallization and UV film casting. It reveals the key differences within each application and when each is appropriate based on each client’s product market strategy. In addition, Designed to Shine dedicates a section to sustainability concerns, complete with a product-by-product grading system. The guide also explains how each application can be used in conjunction with recycled paper and paperboards, as well as preserve the recyclability and compostability of the packaging. Finat, the worldwide association representing the interests of the self-adhesive labelling industry, announced the winners of its 32nd label awards competition at the award ceremony of its annual congress in Athens. This year proved to be a strong year. The competition attracted 325 entries or the third highest number ever. Entries are coming from 52 companies, including new countries from Latin-America, namely Brazil and Peru. The judging panel of this year's label competition included Murat Sipahioglu (Avery Dennison, Turkey), Steve Wood (UK), an expert in screen printing and other printing processes, Gregory Kokkoris (Dot Repro, Greece), Lianne van den Berg (Cartils, The Netherlands) and chairman of the judging panel Tony White (UK). Each year FINAT looks at ways in which it can refine the competition. This year it was agreed that all wine labels should be entered in their own category. Wine labels usually gravitate towards higher quality by the nature of their design. This sometimes meant that good quality entries in other classes did not feature in the top awards. Finat has been rewarded with more than 40 entries in this new 'Wine' category resulting in a 'Best in Show' award and 13 Highly Commended certificates. FINAT believes that this will become an even more popular category in future years. The same can be said of the cosmetic category where all the cosmetic labels were grouped under one class. This was even more of a success with more over 70 entries in this category. The ’Best in Show’ and the ’Marketing/End-Uses Group' awards went to Collotype Labels USA for its Le Pich label. "This is an outstanding label on many levels," commented Tony White. "We were extremely impressed not only by the technical excellence of the label, but also by its artistic appearance. "The design is very authoritative and confident. This label would sell the wine purely on the quality of the label. Its dramatic look grabs the consumer's attention. Using the screen and offset litho processes along with delicate and very accurate foiling with the additional bonus of embossing the whole label exudes quality. The table below shows the allocation of winners between the different groups. The trend towards the increasing number of entries for the 'Marketing/End-Uses Group' continues with nearly 250 entries received this year compared with just under 50 for the 'Printing Processes Group'. Many of the winners from this year’s competition will be entered in the World Label Awards competition which will take place just before Labelexpo USA in September. From the previous year’s Finat winners 5 received a World Label award including the Schreiner Group (D), Royston Labels (UK), Skanem Introl (PL), Etimag Etiket (TR) and Collotype (USA). B. Printing Processes Group: Group Winner is Skanem Poznan, Poland for Soplica Szlachetna Wódka 500ml. A well produced label offering the expectation of a product of quality and sophistication in the bottle. C. Non-Adhesive Applications Group: Group Winner is Skanem Poznan, Poland for Eveline Cosmetics - Anti Stress. A well produced label with exceptional skin tones contributes strongly to making this entry a group winner. Very good use of the flexographic process. Sleeves: Etimag Etiket, Turkey for Coca Cola Studio Kaprol 250 ml. D. Innovation Group: The two joint group winners are Schreiner Group GmbH & Co. Ltd., Germany for Nameplate with integrated pressure compensation seal and Auraprint Oy, Finland for Orian Clean Card Pro. The successful trade fair duo drink technology India and International PackTech India continues to grow: about 300 exhibitors will present the full range of products for the packaging, packaging printing, processing, beverage, food and liquid food industry on some 129,000 square feet of exhibit space at the Bombay Convention & Exhibition Center in Mumbai from November 6 - 8, 2012. This marks an exhibitor and exhibit space increase of around 50% compared to the last staging in 2010. Companies such as Bühler, Clearpack India, Cama Group, COESIA India, Ehcolo A/S, GEA, Haffmans, Hinterkopf, KHS and Krones as well as MultiPack Systems, Ronchi Mario Spa, Sidel, Siemens, Theegarten-Pactec and Ziemann have already registered and announced new product launches. The exhibitors will focus their activities on the requirements of the Indian market and will showcase customized solutions and products. The exhibits will be complemented by a Fair Forum with lectures given by the exhibitors and a conference dealing with current industry issues. 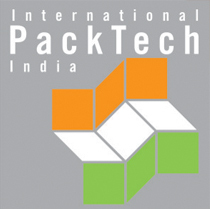 In addition to an official joint German participation with 16 companies at both trade fairs, International PackTech India 2012 will also feature country group exhibits from France, Italy, Turkey and Switzerland while drink technology India 2012 will include joint presentations from Great Britain and China. 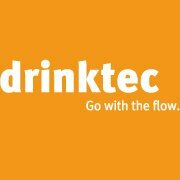 The organizers Messe München (drink technology India) and Messe Düsseldorf (International PackTech India) together with their Indian subsidiaries also anticipate an increase in visitor participation. In 2010, the shows welcomed over 6,000 trade visitors. This year, about 8,000 experts are expected to attend, including top-managers, technicians, engineers and end-users from the middle-management. These conditions are ideal for companies active in the Indian market in the food, beverage and other everyday consumer goods sectors. State-of-the-art technology and processes are essential in order to meet the customers’ rising expectations and drink technology India 2012 and International PackTech India 2012 will provide the ideal international information and order platform. RotoMetrics has recently announced the appointment of Shaun Pullen to General Manager, RotoMetrics Asia. 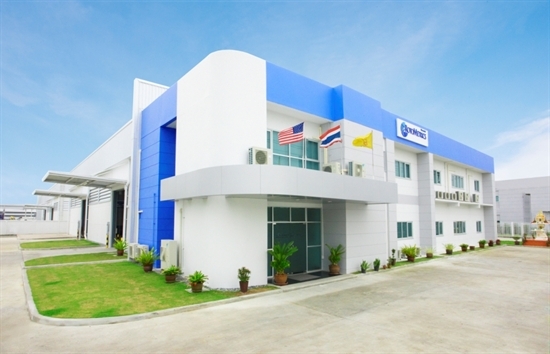 In this newly created role, Pullen will report to the company’s President & Chief Executive Officer and will have responsibility for the firm’s Thailand manufacturing operations as well as sales and business development throughout Asia. During the past 2-1/2 years, RotoMetrics has successfully scaled-up Asia's first premier narrow web rotary precision die manufacturing operation. Shaun has been instrumental in leading this start-up effort taking a "green field" site to a facility that now supplies the majority of customers in Asia with 24 hour turn-around delivery. Shaun has spent the majority of his career in the printing industry. Prior to joining RotoMetrics, he served for 16 years as Regional Sales Manager with J.M.Heaford Ltd a producer of flexo mounting systems and specialist flexo and gravure ink equipment. Prior to this, Shaun worked for the UK agent of Mark Andy as a commissioning engineer installing narrow web printing and converting systems. Shaun has been living in Thailand and networking in Asia for over 11 years gaining first hand experience in local languages, customs and business etiquette. Shaun has a technical background in Mechanical Engineering originally specializing in turbine power generation then moving into heat treatment and metallurgy. Headquartered in St. Louis, Missouri, RotoMetrics is a worldwide leader in precision rotary tooling for the printing and converting industries. The company supports customers from operations in 10 countries with major manufacturing facilities in the United States, United Kingdom, Denmark, Australia and Thailand. Baddi’s fast growing self adhesive labels manufacturer, Prakash Hitek has recently gone into an expansion mode with a new plant. 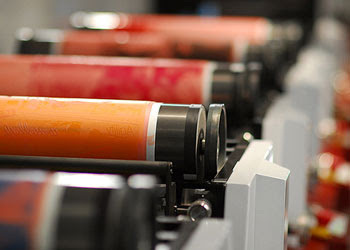 The company’s fast-paced growth, along with its need to deliver high quality labels efficiently and consistently to its most demanding customers, led them to add a high end flexo press. Prakash who has all along been happy with local made machines had to select from an array of high end flexo presses to meet this demand. Naturally when the time for selection came, Sanjay Bhasin of Prakash Hitek could think of none other than the tried and tested Mark Andy. To meet the needs of the fast growing label market, Prakash Hitek chose to buy the highly economical and user-friendly Mark Andy 10” 8 Color MA 2200. The recent installation is testimony to the trust that Sanjay Bhasin has on Mark Andy and Flexo Image Graphics (FIG). Sanjay who oversees the developments in its label printing division is very satisfied with the Mark Andy 10” 8 Color MA 2200 and its exemplary printing capabilities. “We purchased the MA 2200 to upgrade our current printing operation and the quality of work that has been produced by the press has so far been impressive. One of the most flexible and productive presses on the market today, the 8 colour 10” Mark Andy 2200 press installed at our plant provides maximum versatility and flexibility and supports our existing business. The potential of the machine is almost immeasurable and the new press is fulfilling the extremely high demands and complex requirements of our greatly changing market. Our customers are happy and we are happy!” says Sanjay Bhasin. Designed to enable the production of labels for diverse applications, the MA 2200 is based on a building block concept that allows it to be assembled to your specifications to meet your needs. Additional modules can always be added as your business and market opportunities change and grow. The system can be equipped with 12 or more print stations, with additional modules for die cutting, punching, perforating, rewinding, sheeting, folding and conveying. From the automotive, industrial, health and beauty, pharma to wine and spirits, food and beverage to the general consumer market, the MA 2200 can produce labels according to the requirements of the different markets. 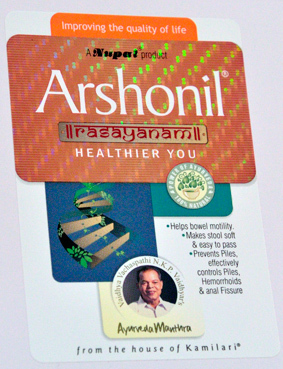 In a variety of sizes and shapes, the labels can be designed to provide key product information, brand information, instruction as to the intended use, function or protection of the product. At the same time, the labeling ensures that the package remains attractive like in the food and beverage, and cosmetic markets or even resistant to different elements and environmental conditions for instance in the automobile and industrial markets. “The MA 2200 is the converting system of preference with the features you want and need >>at a price that makes sense for you<<,” says Gourav Roy, MD, Flexo Image Graphics. “The Mark Andy 2200 was the first narrow-web press to incorporate the revolutionary "QC" quick change inking system. Today, our 2200 is still the high demand press with a versatility that allows it to be used for a wide variety of converting applications employing pressure sensitive stock, paper, foil, gummed stock, heat seal material, light weight tag and data processing stock, plus print both sides of the web in a single pass,” added Gourav Roy. “I’ve known Mark Andy and FIG for a long time, though this is the first time we have been working together,” affirms Sanjay “and I have always judged it a serious and modern company with a special dedication to innovation. But after the installation, my thoughts were confirmed and re-affirmed. This is just the continuation of a close co-operation with FIG & Mark Andy and we might as well look forward to add some new installations as the demands for the label and packaging markets in our fold increases, added Sanjay. “It goes without saying that the technical team of FIG and Mark Andy have been very impressed by this new installation, especially the production environment that Praksah Hitek has created for the MA 2200. Also, the preparation that they have put in to staff training will stand them in good stead to add to their customers’ success story. Mark Andy’s installation engineers were happy to prepare the staff to achieve the quality and productivity to fulfill their customers’ needs,” says I.M Shelvam, CSD Director. The positive response from Prakash Hitek and other converters as regards to the MA 2200 has been overwhelming. The MA 2200 not only offers customers improved quality and increased productivity across a variety of applications, but with the 2200's newfound capability with filmic substrates, it has been of particular interest to printers and converters. With the demand for packaging products printed on unsupported film continuing to drive world markets, the MA 2200 opens a whole new field of applications for converters who are finding profit margins under severe pressure in their traditional self adhesive label markets. “And, if you thought you couldn't afford Mark Andy quality, think again. Now more than ever, with the need to stay competitive, to deliver consistent quality, and to invest wisely, you can’t afford to own anything else,” sums up Sheetal Mishra, VP Marketing.